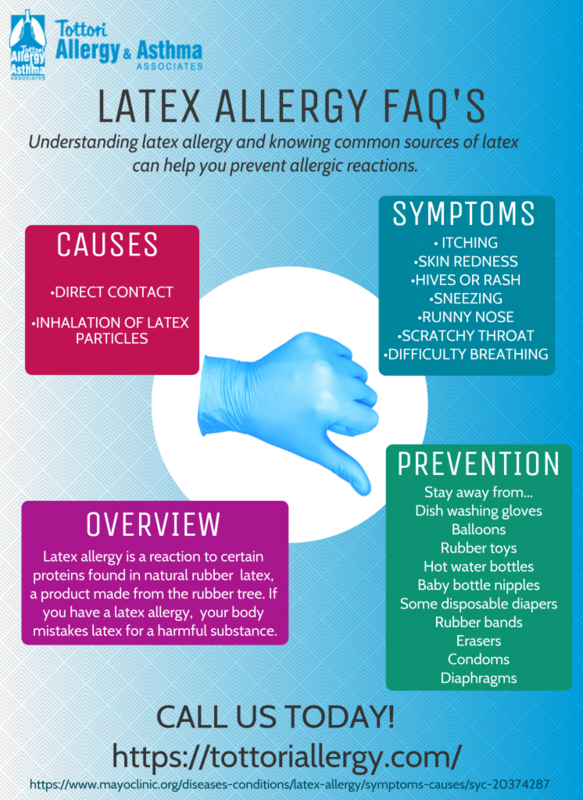 Understanding the symptoms and causes of a latex allergy can save you from a serious reaction. Take a look at the top FAQ’s regarding latex allergies. Give Tottori Allergy a call if you are suffering from a latex allergy.